A purl-er of an idea from two women who met at a Coventry knitting group is blossoming into a network of friends coming together weekly to chat, craft and overcome isolation. Even when one member is having a bad week or thinks they may not show up, the others rally round and they come anyway. So how did the arts and crafts group start? 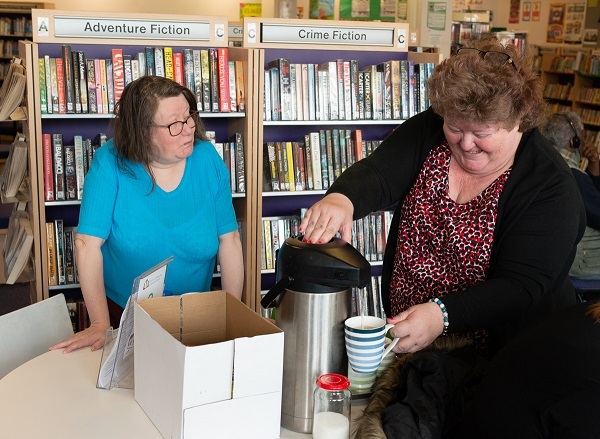 Michelle, from Grapevine’s Help and Connect project, met Tracy at Bell Green library’s knitting circle – a large, animated, all-female group who gather each Thursday to swap skills and put the world to rights. Although beneficial for many, Michelle and Tracy felt the dynamics weren’t quite right for quieter voices who needed time to talk and get to know others first. The ladies they were thinking of had learning disabilities, long term health conditions or different experiences with their mental health. So the duo took a shared love of arts and crafts – plus a generous helping of Tracy’s personal craft supplies – and set up a new, smaller group on a different day. Still at the library, the two-hour Tuesday session provides a space to create and catch up on the week’s events, lending an empathetic ear, advice or practical support as needed. There are five core members (including a man now) of the purposely select group, meaning it remains safe and supportive – no posters on a notice board here. Everyone involved is accepting of one another’s differences. Its need is undeniable as people regularly arrive early and leave later than the scheduled finish time. The session helps them feel more connected. The library location has stuck because it is local and accessible even on days when it can be hard to leave the house. The library provides hot water and the group brings the tea, coffee and biscuits. The five have also enjoyed Christmas lunch together at a local café and a cooked breakfast at another eatery across town. A fitting way to sum it up we thought. From small gestures, come big things. And when Michelle moves on to help others get connected, she can be sure the group will continue. Help and Connect by Grapevine is commissioned by Coventry City Council. We’re celebrating this story as one of our 25 stories for 25 years of Grapevine. Look out for more stories and a big event coming this October! An early Spring evening in Coventry, the last Saturday of March. Crowds are arriving for a gig at a former coal storage bunker in the city’s Canal Basin, now a thriving music and arts venue. But this is no ordinary gig – it’s months of hard work come to fruition to take one troubling statistic and make inroads into changing it. 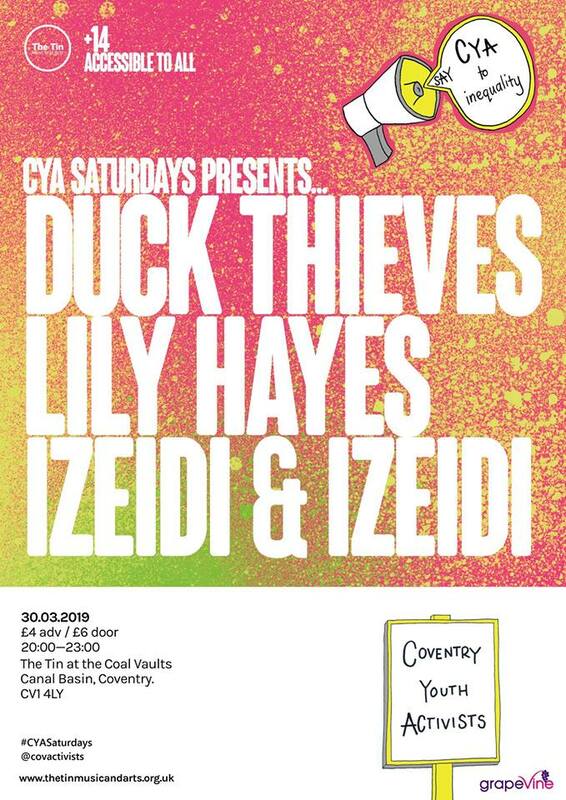 This is the first Coventry Youth Activists (CYA) #CYASaturdays gig, a campaign aiming to challenge the fact that one in three young disabled people spend less than an hour outside their home on a Saturday. A day when most other people are out and about enjoying what the weekend has to offer. 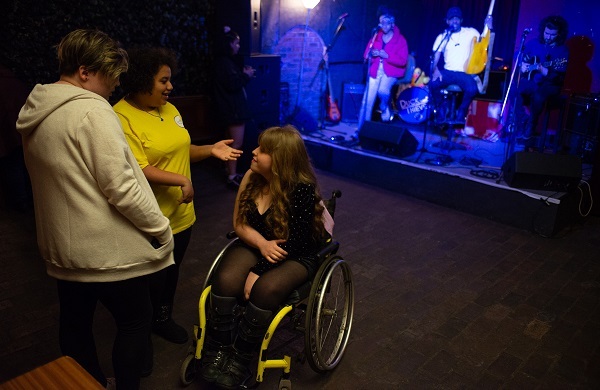 The story behind the statistic tells how for some of these young people logistics can be the problem – wheelchair access for example – and for others, fear of the unknown, not knowing how to find the place they want to go to and what to do once they get there, stop the fun before it even starts. 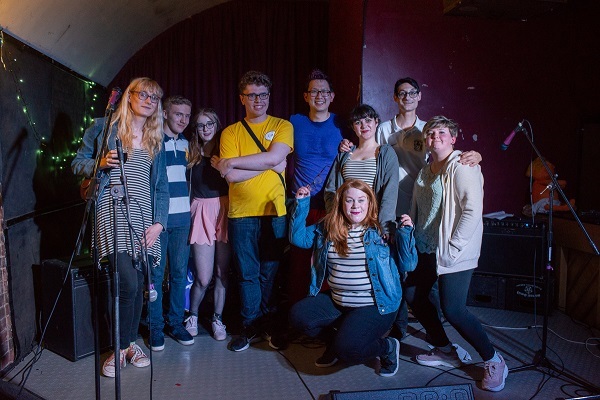 So Grapevine’s youth democracy group set about doing something about it and everyone – CYA included – has been amazed by its success. The #CYASaturdays Presents SOLD OUT with over 100 gig-goers of all abilities coming to The Tin Music and Arts event on 30 March. It showcased three acts, all donating their time for free, plus inimitable double act Rishard and Richard (referring to themselves as Coventry’s answer to Ant and Dec) compering the night. Young people came from all over the city, finding out about the event through social media, events and meet ups and school mailers. Some came with family, others with friends and some had never been to a gig before. Three even got up on stage to sing! One Mum commented that her son enjoyed the gig and for her “it was important as it provided an opportunity for him to be a 14-year-old.” And that’s the whole point really. 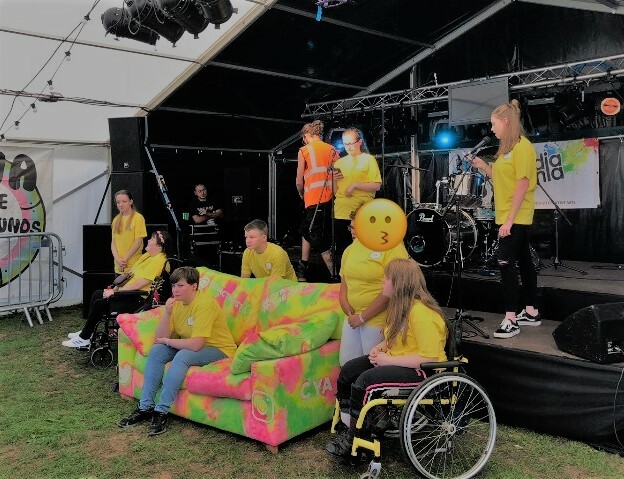 The CYA ‘crew’ wore their trademark yellow t-shirts firstly to offer a point of contact for anyone feeling unsure and secondly so they could rightly own the success of the night! But they didn’t do it alone. So a big thank you to the venue, to the acts Izeidi Izeidi, Duck Thieves, Lily Hayes (from CYA), Rishard Beckett and Richard Walls. And of course, everyone who came and had fun! Until next time… [mic drop]. Photos by John Whitmore Photography. CYA is a group of young people of all abilities who want to challenge and change inequalities faced by themselves and others. Their numbers have grown from two when the group was first funded by the Henry Smith Charity in 2017 to 17 this month. 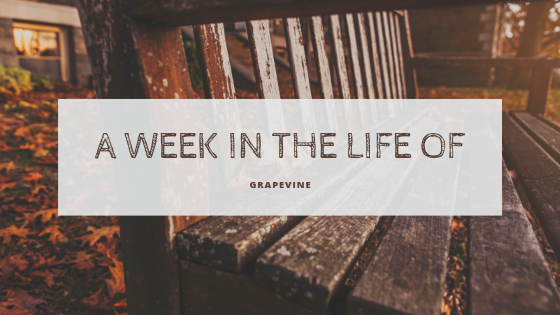 We’re celebrating their story as the first of our 25 stories for 25 years of Grapevine. Look out for more stories and a big event coming in October! 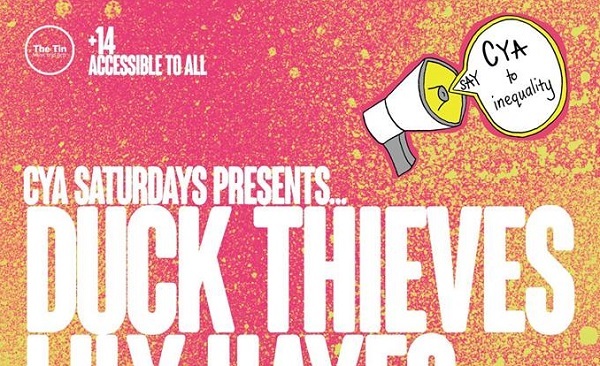 CYA Saturdays Presents… their first ever live gig! What do an 18th century former coal storage bunker and a group of young Coventry activists have in common? Well, they’re combining next month to host a live gig like no other at the heart of the city’s Canal Basin. 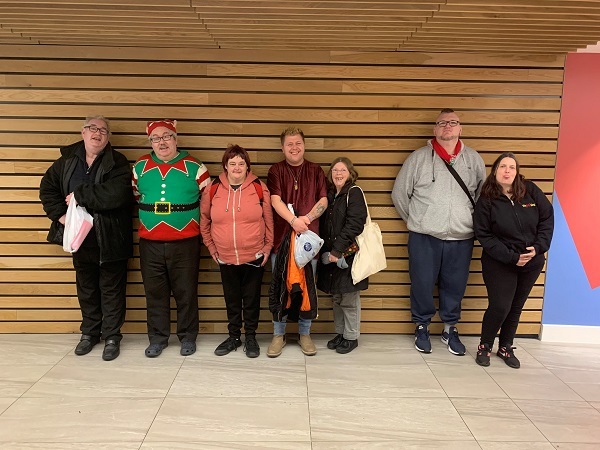 For those who don’t know, Coventry Youth Activists (or CYA as they’re known) are a group of young disabled people who want to say “CYA” to the inequalities faced by themselves and others. They identify the issues that are important to them, give them a good shake and come up with campaigns that set about changing these barriers. 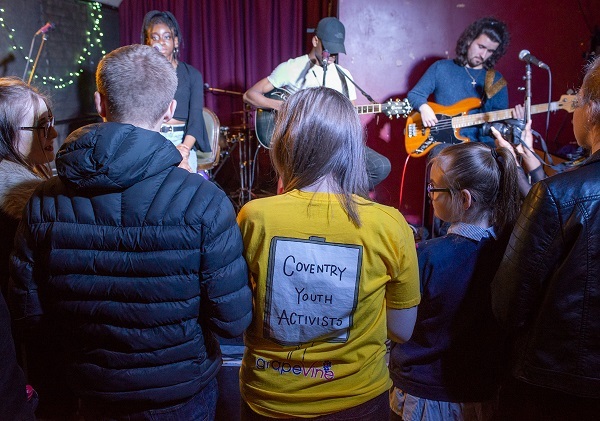 The #CYASaturdays Presents… gig on 30 March is one facet of their latest campaign to challenge the disheartening statistic that one in three young people spend less than an hour outside their home on Saturday. The Saturday night showcase – on a Saturday of course! – features local talent in the shape of bands Duck Thieves, Izeidi Izeidi and CYA’s own singer/songwriter/guitarist Lily Hayes. The night will be compered by actor / theatre maker duo Rishard Beckett and Richard Walls. The gig is accessible to all and tickets are just £4 in advance or £6 on the door. 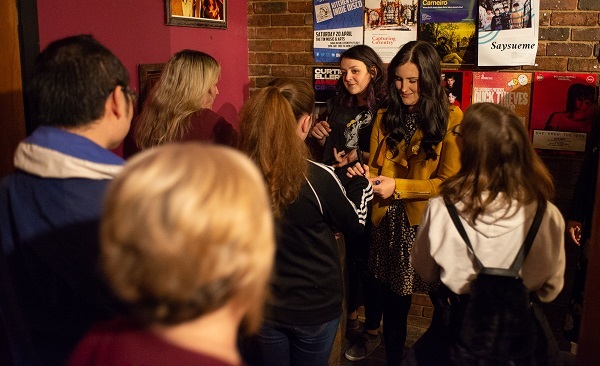 The venue is The Tin Music and Arts – a charitable organisation committed to fostering art, creativity and talent at the Canal Basin and throughout the city. So come out and support what will be a great night as well as a good cause. There’ll be music, laughter and a few surprises and above all you’ll be making a group of young activists very happy! We want as many people there as possible who don’t usually get out and about on a Saturday too. Get your tickets here – show starts at 8pm. You can also check out @Covactivists on Instagram. The Accelerate project helps people with a learning disability or autism find sustainable, paid employment. Journey guides work on a one-to-one basis with participants, helping them understand and navigate the world of work. 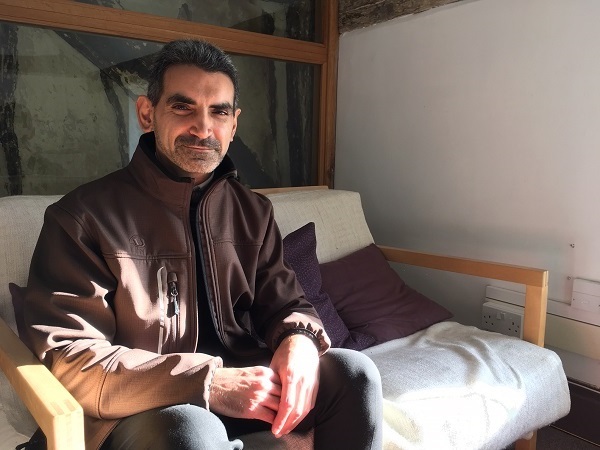 David is one such participant who spent years trying to find the right opportunity for paid work – this is his story in his own words. “My journey to paid employment has been a struggle, as I was abused, neglected and partly separated from society by my late adopted mother. Even when I had paid work, I never had anything to do with my wages. After my first meeting with Grapevine I realised I knew the interviewer, Mia. Mia introduced me to Gordon at Grapevine, who helped me find creative writing groups and voluntary work with the Herbert Art Gallery and Museum. …in the hope that it would lead to a job I stuck with the Herbert ever since, like everyone else who made the effort to know what was going on with me, suggested. I then had an opportunity for paid work at the Herbert in June 2014, but failed the interview as they felt I still needed to improve my confidence and skills. So I kept trying for paid work, even looking at jobs outside of the Herbert, which I have been doing since 2002 by myself and since 2014 with Patrick from Open Doors (housing and support services). We didn’t have much luck… Patrick then remembered Tess, who had helped other Open Doors tenants with paid employment. 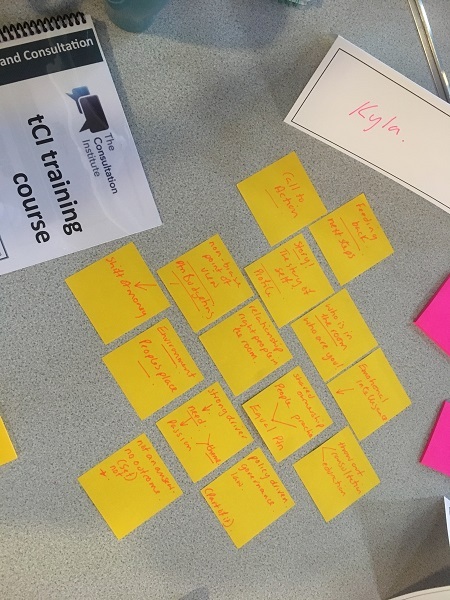 Eventually Tess suggested a job scheme called Accelerate at Grapevine… Patrick and I took up the offer of joining Accelerate and this is when I met Alex. Immediately Alex, in November 2016, found an opportunity for me with Russell’s Garden Centre. They said that I may or may not have a paid opportunity by March 2017, however gave me the chance to prove myself until then. However, March came and went and I was still volunteering and looking for paid work due to not being qualified enough to replace a more skilled employee. Although they found me impressive enough to keep me as a volunteer. As time went on with no luck in any paid opportunities for work I became worried that I would always be a volunteer. However, I never gave up searching for paid opportunities and neither did Alex. Due to this, as from October 2018, I am now a Casual Museum Assistant at the Herbert Art Gallery and Museum. 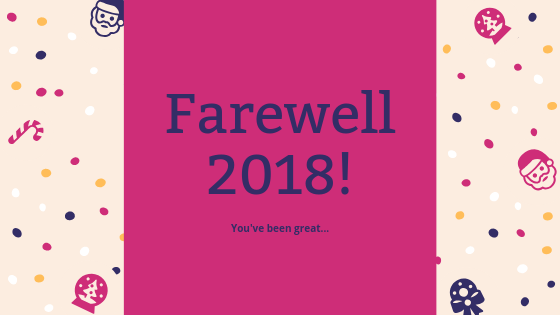 I am really happy I finally have paid work, although I feel I need time for it to sink in first, partly due to not having access to wages etc in my past and partly due to the end of the year being busy for me. Plus, at the moment I am helping a colleague from the Herbert with plants for her garden with help from Russell’s Garden Centre. I designed a plan for the garden in April last year and both her and her husband liked it and informed the gardener/builder of my idea and he finally finished it July this year. Anyway even though I have a casual job at the Herbert, I am happy I finally have something to call my own and I hope my journey will inspire others. If I can get there, anyone can. 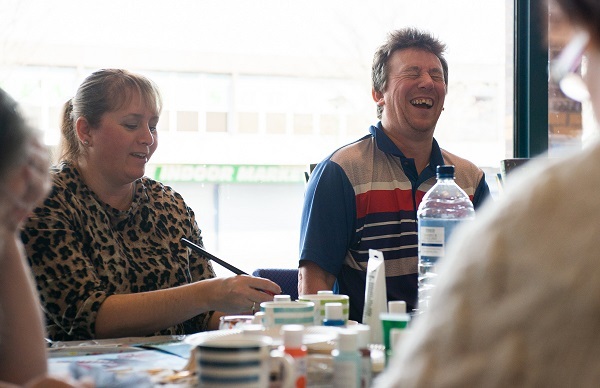 Accelerate is a Building Better Opportunities Project funded by the European Social Fund and the National Lottery, through the Big Lottery Fund. It is delivered by a local partnership of organisations providing people with access to a wide range of job support services. Dear Diary, it’s been a busy week! Teenvine Plus Manager Chloe travelled to London with the Coventry Youth Partnership to attend the UK Youth Awards. 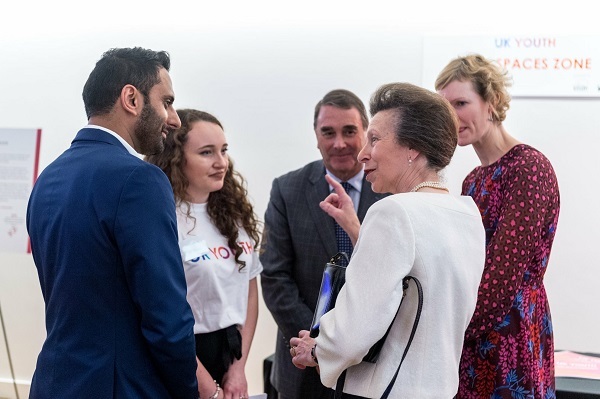 Alongside other local organisations including Positive Youth Foundation (PYF), Coventry Girls and Boys Club and C O Visions, Chloe met Princess Anne. Grapevine was offered a place on the course as one of the council’s community partners and Kyla can now share what she learned with the rest of the team. Project worker Molly from Teenvine Plus and Warwickshire Empowerment Service has started collecting Christmas shoe boxes to donate to Coventry Open Christmas – a project that provides shelter and food each year to the homeless and lonely over the festive period. Each shoebox (or alternative small cardboard box) can contain items such as toiletries, sweets, hats and gloves – basically anything that might help someone feel a little brighter on Christmas morning. Click the link above if you’re interested in joining in. 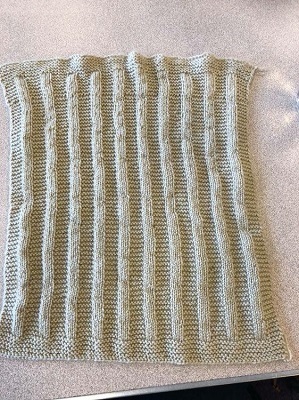 Help and Connect’s Michelle finished making her first knitted blanket for premature babies born at University Hospital Coventry and Warwickshire. The weekly handicraft group at Bell Green Library taught her how – next on the list are tiny cardigans! Join in each Thursday from 10am – 12 noon (50p for tea/coffee). Michelle attends so she can make connections for people with a learning disability in Coventry who don’t use formal services. Local photographer and friend of Grapevine Alan Van Wijgerden released another of his 50 one-minute films of Coventry people talking about what they’re up to – this time featuring Grapevine’s Melissa! 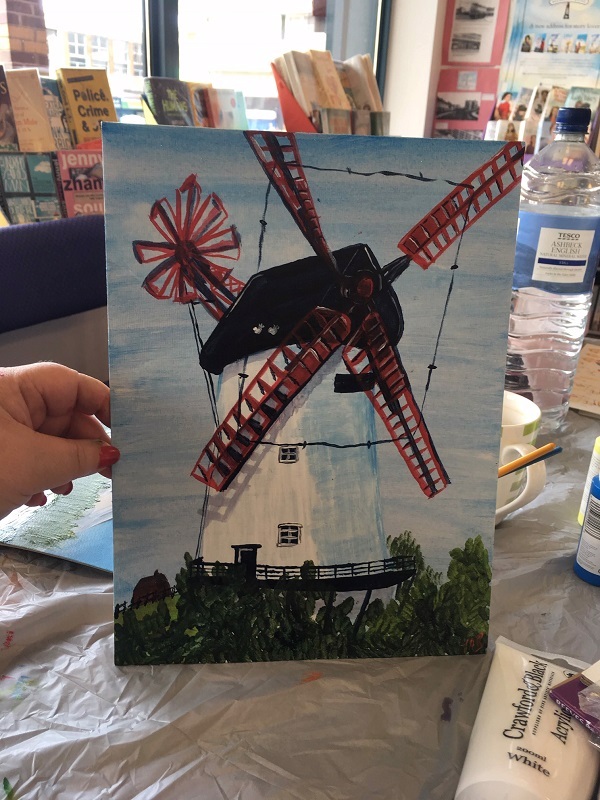 See what she has to say about how her health problems set her on a path to combining creativity and bringing people together in the shape of Feel Good Community. 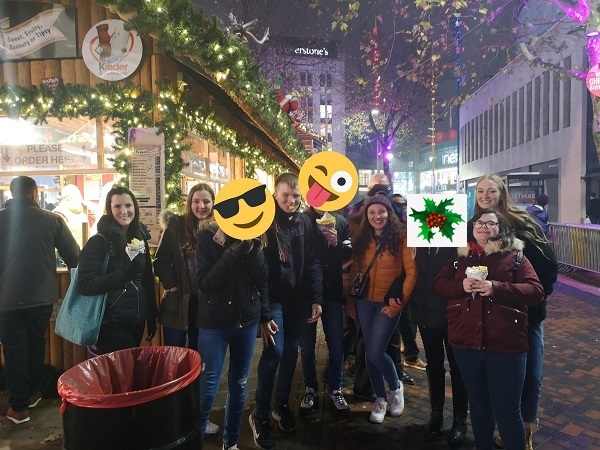 Teenvine Plus and Coventry Youth Activists posted pics of their evening out on Thursday to Birmingham’s Frankfurt Christmas Market – looks like they had a ‘fantastisch’ time! Read what Stay Up Late had to say about CYA’s recent stay to Brighton here. 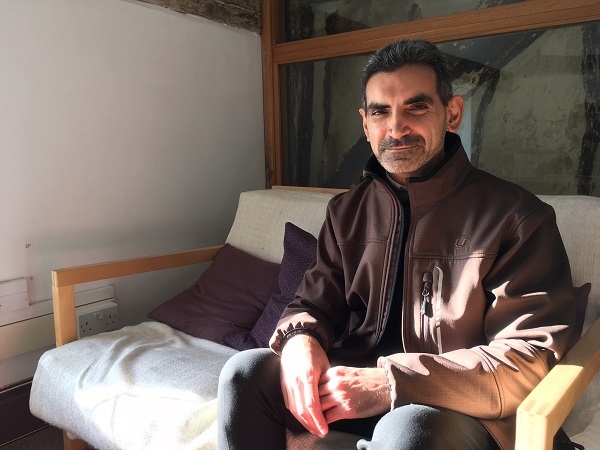 Act Build Change founder Steph Leonard (and regular Grapevine trainer) is visiting to shadow and advise on our work on anti-isolation movement Connecting for Good – look out for a new video coming out very soon featuring one of the people we’ve met. It is also the first day of a full team (Ben, Alex and Helena) working on the new Community Powered Advocacy service in Warwickshire. 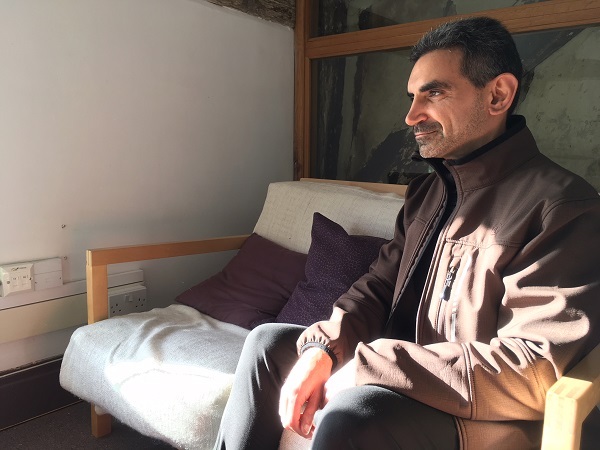 This fresh and innovative service is aimed at helping people with a ‘vulnerability’ overcome their immediate problems, build their capacity to speak up for themselves and connect them to other people in their community. 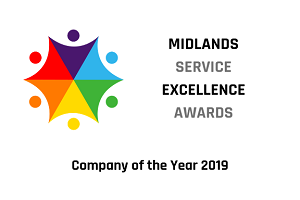 Watch this space as the team start connecting with other services and the people they are there to help. Looking forward to seeing what the rest of this week might bring. 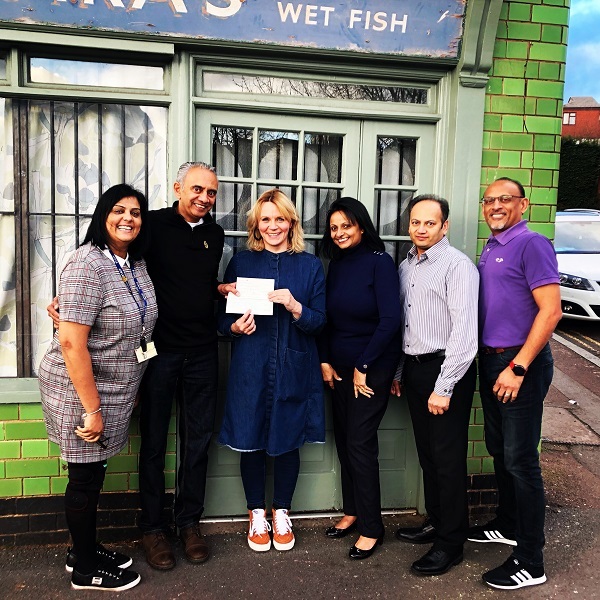 Last Friday’s Children in Need Appeal Show brought in £50.6m according to BBC News – taking the total amount of money raised since fundraising began 38 years ago in 1980 to over £1 billion. Here at Grapevine Coventry and Warwickshire we are part-funded by Children in Need to run our Teenvine Plus and Coventry Youth Activists (CYA) projects to give young people with disabilities opportunities to forge friendships, build confidence and independence, and unlock their potential to live a full, happy life bolstered by a strong network and great experiences. Thank you to everyone who makes this possible through their donations to fundraising – we couldn’t do it without you. 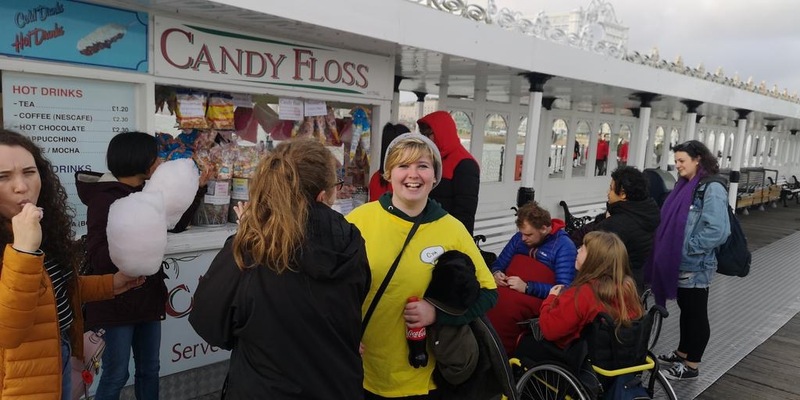 Here are a couple of quick glimpses into the fun and innovation that surrounds CYA’s activities… the first to mark their one-year anniversary last month and the second is their recent weekend away to watch a gig in Brighton. 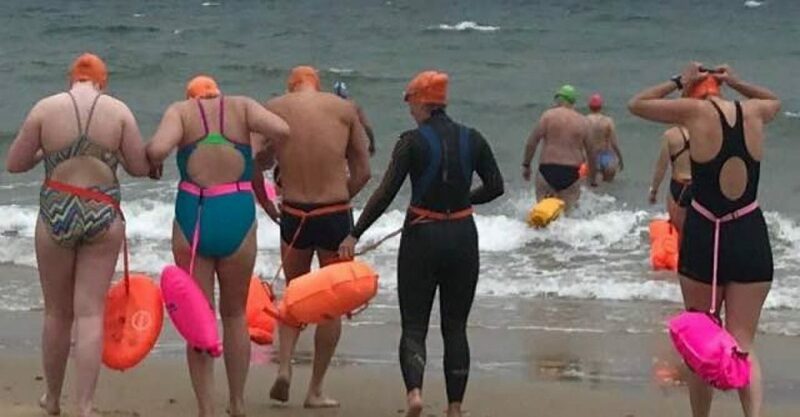 Nine excited young people are off on a road trip to Brighton this weekend – thanks to a group of slightly crazy open water swimmers and their relay fundraising effort across the English Channel. The #swimandtonic crew of six – part of a larger group who connect around swimming in quarries, lakes, rivers, lidos, seas and basically anything deeper than a puddle that is outdoors – took to the water last year to raise funds so a group of young disabled people could enjoy a mini break with their friends. Now the trip is almost a reality, and is just three days away from happening! This Friday (9 November), the group of nine Coventry Youth Activists (CYA) plus Coleman, Molly, Chloe and Kirsty from Grapevine, will take two mini buses down to Brighton where they’ll enjoy two nights in a hotel, a meeting with Gig Buddies and a gig. 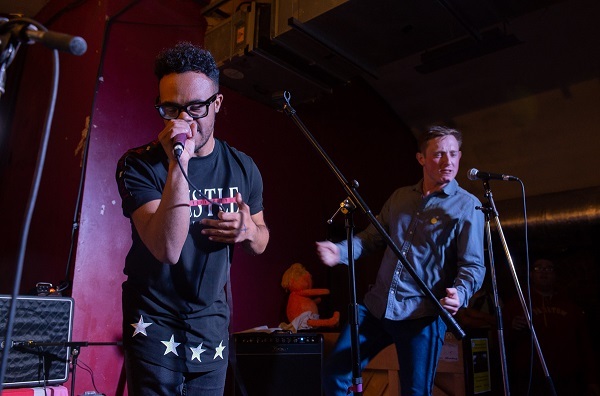 The Sussex-based Gig Buddies project (there are others around the country) is run by the charity Stay Up Late and matches a person with a learning disability with a volunteer buddy who likes similar music so they can enjoy live music together. For some of the 13 to 18 year olds, this will be their first overnight stay without a parent or guardian, their first solo road trip and their first gig. The break gives them the opportunity to experience all of these things with their friends, building confidence and independence along the way. Two mini buses to get them there and back are necessary because the four wheelchair users in the group couldn’t be accommodated on the same train. We hope you’ll join us in wishing them a safe journey and a great weekend. Look out for a follow-up post where we’ll be sharing photos and videos from the trip and also what the young people thought about the experience. Find out more about Mel (Grapevine’s Deputy CEO) and the #swimandtonic crew here.